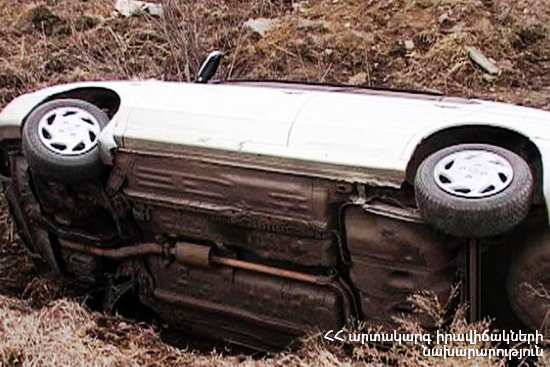 On February 8, at 11:00 an emergency call was received to “911” service that a car accident had occurred near the gas filling station in Mirak village, Aragatsotn province. A car had rolled over into a canyon: there were no casualties. The rescuers’ help was needed. It turned out that “Kia” car had run off the roadway and appeared in the canyon. The rescuers removed the car to the roadway. In Alagyaz village the rescuers (on the way back) noticed “Nissan X-Trail” car stuck in the snow. The rescuers got the car unstuck from the snow.